Ineda Systems is a silicon and platform solution provider in the area of automotive and IoT applications. Ineda’s SOC’s are built on a powerful new architecture called Hierarchical Computing Architecture that offers the industry leading power / performance elasticity for the emerging workloads in IoT and automotive applications. It enables optimal use of heterogeneous compute engines (CPUs, DSPs, hardware accelerators), peripherals, memory banks and power rails based on various system use cases. Ineda’s SOCs are built with end-to-end security in mind – from design to manufacturing to commissioning and decommissioning. 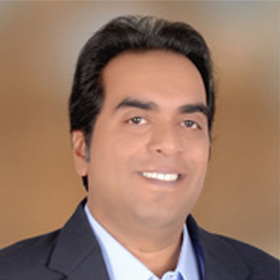 Balaji Kanigicherla founded Ineda Systems and serves as the Chief Executive Officer. Prior to his current role, he held the role of CTO & head of engineering to build a 100+ strong R&D team and led the development of foundation IO-V technology and industry first hierarchical computing architecture. Before Ineda, he was at AMD where he was responsible for management of 500+ engineer organization and was also program executive for their low power fusion SOC. Prior to AMD, he worked at Conexant Systems as a Senior Director managing their Set-Top-Box and Imaging/PC Media silicon engineering teams. He also worked in technical/management roles at Silicon Valley startups Ikanos & Velio and was a key member of their industry first networking/communication products. Earlier in his career, he was associated with Intel towards their x86 CPU and mobile chip-set engineering product development. He has filed for 20+ patents to date and played the role of a technical advisor for select Silicon Valley startups. He has a Master’s degree in Electrical Engineering from Arizona State University. Copyright © 1995-2018 SAMSUNG. All Rights reserved.